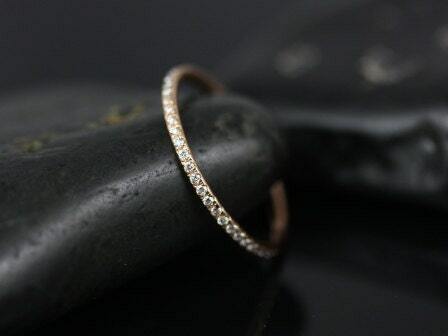 This sweet ultra thin classic is a must have for all those who want just a subtle glimmer on their fingers. 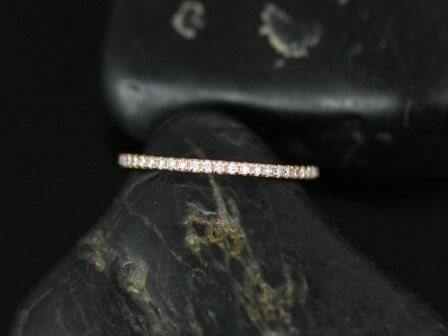 This ring can be stacked with other low profile stackables with subtle/delicate patterns! 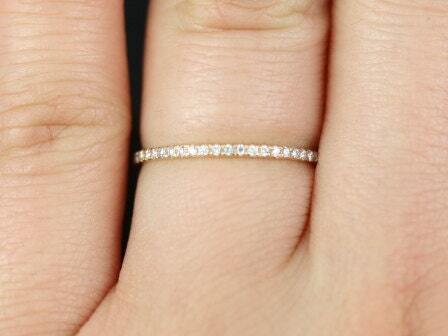 DISCLAIMER: When wearing this ring, please be extra cautious. 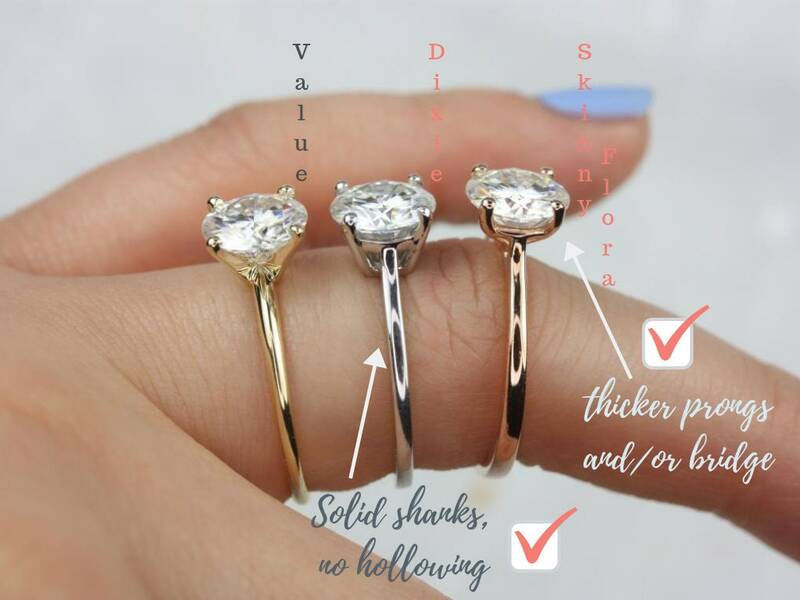 The ring is designed for subtlety and delicacy; this band should not be worn for anything strenuous such as lifting heavy objects or anything that uses hands with great force. 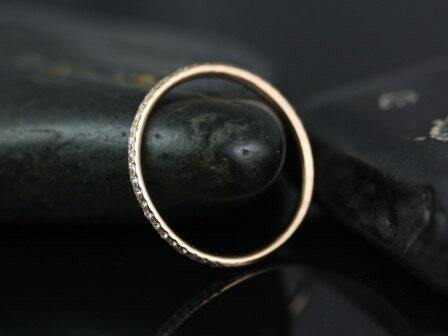 When worn gently, the ring should be in great condition. 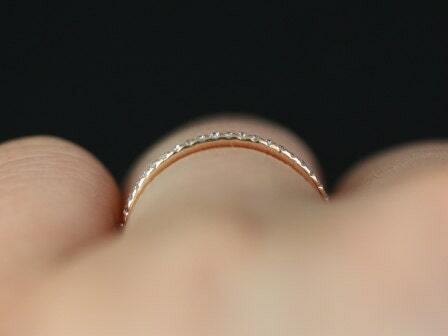 We suggest this ring to be checked and tightened every 3-6 months for optimal condition. 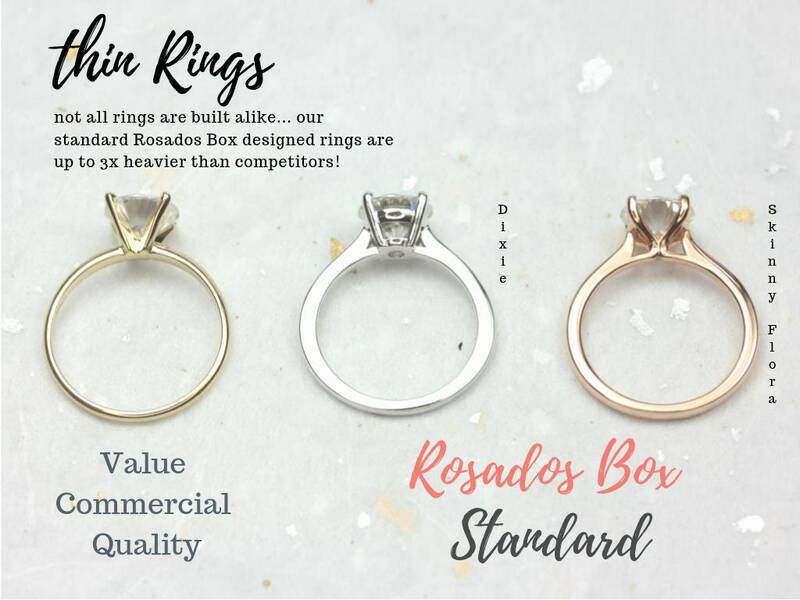 So pleased with these rings!! Absolutely stunning! The photos don't do them justice. Everyone was very helpful and communicative. I ordered two of these. One Rose one yellow gold for myself and good friend. We wanted them simple and delicate. My friend loves hers (rose) . I like it but way smaller than expected for money. I just looks like cut gold reflecting not actual diamonds. I know there small, but you don't realize they are even there. That being said my friend is happy.